Missed the Social Connections 10 keynotes? Watch the replays now! 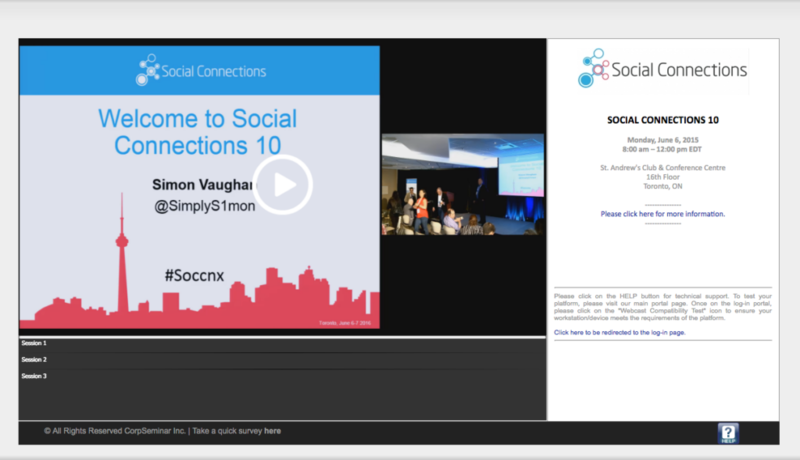 We had an excellent first morning at Social Connections 10 event in Toronto today, and for the first time ever, professionally live-streamed the main tent sessions. The OGS session lead by Simon Vaughan, also featuring Benoit Hardy-Vallée of IBM, followed by the event keynote hosted by Chris Crummey and Luis Benitez of IBM. A fantastic case study from Lowes, featuring Clarissa Felts and Terry Cartwright. Pardon the Interruption, hosted by Luis Suarez, with panelists Luis Benitez and Luis Guirigay of IBM. Head over to the livestream site and watch the sessions now! Please leave a comment or tweet with hashtag #soccnx if you have any feedback or comments to add!